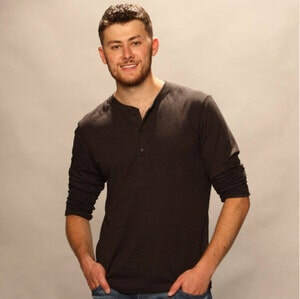 Up and coming country music artist Tyler Bank has released his self-titled four track EP today. The southern California native released the opening track, Chase the Night, only a few weeks ago, which was featured on our New Music Friday playlist. With the release of his album, Bank also took the time to tell his followers that it will be a big weekend for him as he will also be making the move away from home to base himself in Nashville to continue his journey. ​The new Tyler Bank EP opens with a riff and a smash on the drums for Chase the Night. The up-tempo, living for the moment song is a strong opener for Bank as he draws the listener into the album with a song style that many current artists would feature on their album. Over the Weather is a post break up song with a difference. For Bank it doesn’t matter how hot the summer nights are or how cold the winter wind is, he misses looking out into the crowd and seeing the one he loves looking back. As the EP continues, Bank slows thinks down with Between Us and the Moon. The falling in love song forgets about the everything going on in the world and living for the moment, whilst lying under the moon as it feels like you are the only people under it. For Tyler’s EP conclusion, Thinking ‘bout You Kinda Night, is another track with lyrics that wouldn’t sound out of place for many artists. In this track, Bank is thinking about a girl who has left town and all he wants to do is see her again. We hope this four track EP is only the start of things for Tyler as he looks to make waves in a very congested market. So far everything is looking good for Bank and this release is sure to put him in a good position come Monday morning as he looks to make a name for himself in Music City.